Foreclosure or Bankruptcy — Which Option is Worse? Foreclosure and bankruptcy carry different levels of urgency. Depending on your circumstances, one may be a better fit when compared with the other. For example, what is the status of your mortgage? Have you only missed one payment, or has your situation progressed past the 90-day mark? Depending on the answer, you lender may be willing to help. Before taking any action, contact the bank and explain the circumstances. If your money troubles are temporary, ask for a forbearance period or other option to reestablish your financial stability. Consider taking on a renter to aid you in this goal. If your troubles are more permanent, however, bankruptcy could be your last option. Foreclosure and bankruptcy both carry long-term credit consequences. These citations may remain on your credit report for 7 to 10 years. Living with a decade of bad credit can be devastating, especially if you expect to rely on your credit score in the future. A low rating equals high premiums and interest rates, two factors every consumer should try to avoid. If you are nearing the apex of a decision, consider the long-term consequences against your long-term goals. For example, while filing for Chapter 13 bankruptcy is no picnic, a future lender may view it more favorably than a property foreclosure. As the “wage earner’s” option, Chapter 13 illustrates your willingness to repay debts on a restructured scale. On the other hand, foreclosure illustrates little more than walking away from your property. Consider these viewpoints and their creditworthy implications. o Brokering a deal. As stated above, work with your lender to restructure payments and avoid credit damage entirely. 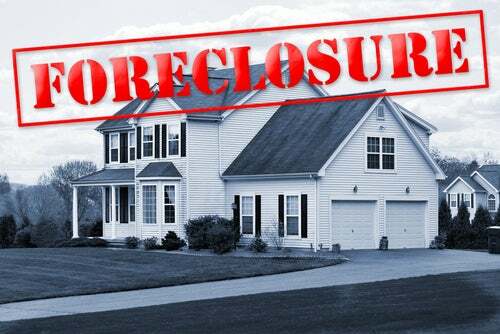 Foreclosure and bankruptcy are always the last resort. o Delaying the inevitable. If bankruptcy and/or foreclosure is inevitable, ask for some goodwill. Request a delay in the proceedings. This will allow you to stay in your home and find other living arrangements before your credit score takes a nosedive. o Restructuring your debt. For homeowners with considerable equity, giving in to Chapter 13 proceedings is often preferable to losing their investment. If this sounds familiar, use the court’s help at its full potential. While the trustee will restructure your debt, go the extra mile by exceeding their expectations. Take on a part-time job, adopt a new budget, and cut costs to help your cause. The bottom line: While the need for credit repair is certain, financial trouble should never envelope your life. Allow personal motivation to determine your future.